Positron tomography has always had a strong quantitative emphasis. The reconstructed volumes which result from 2D acquisition provide radioactivity concentrations accurate to within a few percent under well-controlled, calibrated conditions. This is mostly due to the low acceptance of scattered coincidences and the accuracy of the corrections for random coincidences, dead time, and attenuation. In 3D PET though, many of these factors are altered by the acquisition geometry and the procedures needed for 3D reconstruction. 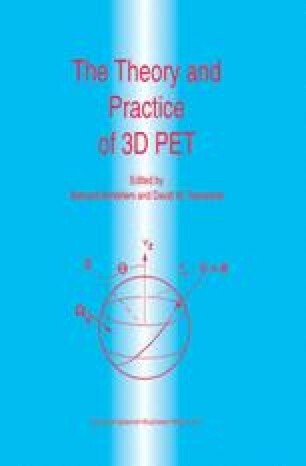 This chapter discusses the approaches taken at present to applying the various corrections needed for quantitative 3D PET.